De Visscher, A., Noël, MP., Pesenti, M., & Dormal, V. (2018). Developmental dyscalculia: a case of dissociation between magnitudes? Journal of Learning Disabilities, 51(6), 600-611. Dormal, V., Larigaldie, N., Lefèvre, N., Pesenti, M., & Andres M. (2018). Effect of perceived length on numerosity estimation: Evidence from the Müller-Lyer illusion. Quarterly Journal of Experimental Psychology, 71(10), 2142-2151. Dormal, V., Heeren, A., Pesenti, M., & Maurage, P. (2018). Time perception is not for the faint-hearted? Physiological arousal does not influence duration categorisation. Cognitive Processing, 19(3), 399-409. Geers, L., Pesenti, M., & Andres, M. (2018). Visual illusions modify object size estimates for prospective action judgements. Neuropsychologia, 117, 211-221. Masson, N., Letesson, C., & Pesenti, M. (2018). Time course of overt attentional shifts in mental arithmetic: Evidence from gaze metrics. Quarterly Journal of Experimental Psychology, 71(4), 1009-1019. Sahan, M. I., Majerus, S., Andres, M., & Fias, W. (2018). Functionally distinct contributions of parietal cortex to a numerical landmark task: an fMRI study. Cortex. Salvaggio, S., Masson, N., & Andres, M. (2018). Eye position reflects the spatial coding of numbers during magnitude comparison. Journal of Experimental Psychology : Learning, Memory and Cognition. • De Smedt, B., Noël, M-P., Gilmore, C. & Ansari, D. (2013). How do symbolic and non-symbolic numerical magnitude processing relate to individual differences in children’s mathematical skills ? A review of evidence from brain and behavior. Trends in Neuroscience and Education, 2, 48-55. • De Visscher, A. & Noël, M-P. (2013). A specific impairment of arithmetical facts in a case of developmental dyscalculia : a problem of verbal routine or of interference ? Cortex, 49(1), 50-70. • De Visscher, A., & Noël, M. P. (in press). Arithmetic facts storage deficit: The hypothesis of hypersensitivity-to-interference in memory. Developmental Science. • Di Luca, S., Pesenti, M., Vallar, G., & Girelli, L. (2013). Numbers reorient visuo-spatial attention during cancellation tasks. Experimental Brain Research, 225, 549-557. • Dormal, V., & Pesenti, M. (2013). Processing numerosity, length and duration in a three-dimensional Stroop-like task: towards a gradient of processing automaticity? Psychological Research, 77, 116-127. DOI: 10.1007/s00426-012-0414-3. • Grade, S., Lefèvre, N., & Pesenti, M. (2013). Influence of left-right vs. up-down gaze observation on random number generation. Experimental Psychology, 60(2), 122-130. DOI-10.1027/1618-3169/a000178. • Masson, N., Pesenti, M., & Dormal, V. (2013). Symbolic and nonsymbolic numerical processing in neglect patients. Neuropsychologia, 51 (10), 1925-1932. DOI: 10.1016/j.neuropsychologia.2013.06.004. • Meert, G., Grégoire, J., Seron, X. & Noël, M-P. (in press). The Processing of Symbolic and Nonsymbolic Ratios in School-Age Children. Plos One. • Michaux, N., Masson, N., Pesenti, M., & Andres, M. (2013). Selective finger interference with basic arithmetic problem solving. Experimental Psychology, 60(3), 197-205. • Mussolin, C., Noël, M-P., Pesenti, M., Grandin, C., & de Volder, A. (2013). Neural correlates of the numerical distance effect in children. Frontiers in Psychology, 4 (663): 1-9. DOI: 10.3389/fpsyg.2013.00663. • Rousselle, L., Dembour, G. & Noël, M-P. (2013). Magnitude representation in Williams syndrome: differential acuity in time, space and number processing. Plos One, 8(8). • Andres M., Michaux N., & Pesenti M. (2012). Common substrate for mental arithmetic and finger representation in the parietal cortex. Neuroimage, 62, 1520-1528. • Badets, A., Bouquet, C., Ric, F., & Pesenti, M. (2012). Number-generation bias after movement perception. Experimental Brain Research, 221, 43-49. •Colomé, A., & Noël, M-P. (2012). One first? Acquisition of the cardinal and ordinal uses of numbers in preschoolers. Journal of Experimental Child Psychology, 113(2), 233-247. • Dormal, V., Dormal, G., Joassin, F., & Pesenti, M. (2012). A common right fronto-parietal network for numerosity and duration processing: An fMRI study. Human Brain Mapping, 33(6), 1490-1501. • Dormal V., Andres M., Pesenti M. (2012). Contribution of the right intraparietal sulcus to numerosity and length processing : An fMRI-guided TMS study. Cortex, 48, 623-629. • Dormal, V., & Pesenti, M. (2012). Processing magnitudes within the parietal cortex. In A. Costa, & E. Villalba (Eds. ), Horizons in Neuroscience Research (Vol.8). pp107-140. Nova Science Publishers: New-York. • Mejias, S., Grégoire, J. & Noël, M-P. (2012). Numerical estimation in adults with and without developmental dyscalculia. Learning and Individual Differences, 22, 164-170. • Noël, M-P. & Rousselle, L. (2012). How understanding mathematical learning disability may guide mathematics teaching. British Journal of Educational Psychology. Conference Monographs Series, Number 8, 63-82. • Andres M., Pelgrims B., Michaux N., Olivier E., Pesenti M. (2011). Role of distinct parietal areas in arithmetic : an fMRI-guided TMS study. Neuroimage, 54, 3048-3056. • Colomé, A., Gracia Bafalluy, M. & Noël, M-P. (2011). Getting to the source: a questionnaire on the learning and use of arithmetical operations. Psicologica, 32, 223-253. • Crollen, V., Seron, X. & Noel, M-P. (2011). Is finger-counting necessary for the development of arithmetic abilities ? Opinion article. Frontiers in Psychology, Sept 2011, vol 2, article 242, p1-3, doi:10.3389/fpsyg.2011.00242. • Noël, M-P. & Rousselle, L. (2011). Developmental changes in the profiles of dyscalculia: an explanation based on a double exact-and-approximate number representation model. Frontiers in Human Neuroscience, Dec 2011, vol 5, article 165, 1-4, doi: 10.3389/fnhum.2011.00165. • Badets, A., & Pesenti, M. (2010). Creating number semantics through finger movement perception. Cognition, 115, 46-53. • Badets, A., Pesenti, M., & Olivier, E. (2010). Response-effect compatibility of finger-numeral configurations in arithmetical context. Quarterly Journal of Experimental Psychology, 63 (1), 16-22. • Di Luca, S., Lefevre, N., & Pesenti, M. (2010). Place and summation coding for canonical and non-canonical finger numeral representations. Cognition, 117(1), 95-100. • Di Luca, S., & Pesenti, M. (2010). Absence of Low-Level Visual Difference Between Canonical and Noncanonical Finger-Numeral Configurations. Experimental Psychology, 57(3), 202-207. • Dormal, V., Andres, M., Dormal, G., & Pesenti, M. (2010). Mode-dependent and mode-independent representations of numerosity in the right intraparietal sulcus. NeuroImage, 52, 1677-1686. • Meert, G., Grégoire, J. & Noël, M-P. (2010). Comparing the magnitude of two fractions with common components: which representations are used by 10- and 12-year-old children? Journal of Experimental Child Psychology, 107, 244-259. • Michaux, N., Pesenti, M., Badets, A., Di Luca, S., & Andres, M. (2010). Let us redeploy attention to sensorimotor experience‏. Behavioral and Brain Sciences, 33(4), 283-284. • Mussolin, C., Mejias, S. & Noël, M-P. (2010). Symbolic and nonsymbolic number comparison in children with and without dyscalculia. Cognition. 115 (1), 10-25. • Mussolin, C., De Volder, A, Grandin, C., Schlögel X., Nassogne, M-C., Noël, M-P. (2010). Neural Correlates of Symbolic Number Comparison in Developmental Dyscalculia. Journal of Cognitive Neuroscience. 22(5), 860-874. • Notebaert, K., Pesenti, M., & Reynvoet, B. (2010). The neural origin of the priming distance effect: distance-dependent recovery of parietal activation using symbolic magnitudes. Human Brain Mapping, 31, 669-677. • Dormal, V., & Pesenti, M. (2009). Common and specific contributions of the intraparietal sulci to numerosity and length processing. Human Brain Mapping, 30(8), 2466-2476. • Meert, G., Grégoire, J. & Noël, M-P., (2009). Rational numbers : Componential vs. holistic representation of fractions in a magnitude comparison task. The Quarterly Journal of Experimental Psychology, 62(8), 1598-1614. • Noël, M-P. (2009). Counting on working memory when learning to count and to add : a preschool study. Developmental Psychology. 45(6), 1630-1643. • Pesenti, M., & Andres, M. (2009). Common mistakes about numerical representations. Behavioral and Brain Sciences, 32 (3-4), 346-347. • Andres, M., Di Luca, S., & Pesenti, M. (2008). Finger counting: The missing tool? Behavioral and Brain Sciences, 31, 642-643. • Andres, M., Olivier, E., & Badets, A. (2008). Actions, words and numbers: A motor contribution to semantic processing? Current Directions in Psychological Science, 17, 313-317. • Andres, M., Ostry, D., Nicols, F., & Paus, T. (2008). Time course of number magnitude interference during grasping. Cortex, 44, 414-419. • Badets, A., & Pesenti, M. (2008). The effects of intention and practice on a non-motor duration estimation task. Acta Psychologica, 129, 243-248. • Censabella, S., & Noël, M-P. (2008). The inhibition capacities of children with mathematical disabilities. Child Neuropsychology, 14(1), 1-20. • Dormal, V., Andres, M., & Pesenti, M. (2008). Dissociation of numerosity and duration processing in the left intraparietal sulcus: A transcranial magnetic stimulation study. Cortex, 44 (4), 462-469. • Di Luca, S., & Pesenti, M. (2008). Masked priming effect with canonical finger numeral configurations. Experimental Brain Research, 185(1), 27–39. • Gracia-Bafalluy, M. & Noël, M-P. (2008). Does finger training increase young children’s numerical performance ? Cortex, 44, 368-375. • Mussolin, C., & Noël, M-P. (2008) Automaticity for numerical magnitude of two-digit Arabic numbers in children. Acta Psychologica, 129, 264-272. • Mussolin, C., & Noël, M-P. (2008). Specific retrieval deficit from long-term memory in children with poor arithmetic facts abilities. The Open Psychology Journal, 1, 26-34. • Noël, M-P., Grégoire, J., Meert, G., & Seron, X. (2008). The innate schema of natural numbers does not explain historical, cultural and developmental differences. Behavioral and Brain Sciences, 31 (6), 664-665. • Rousselle, L., & Noël, M-P. (2008). The development of automatic numerosity processing in preschoolers : Evidence for numerosity-perceptual interference. Developmental Psychology, 44(2), 544-560. • Rousselle, L., & Noël, M-P. (2008). Mental arithmetic in children with mathematics learning disabilities : The adaptive use of approximate calculation in an addition verification task. Journal of Learning Disabilities, 41(6) : 498-513. • Andres M., Seron X., & Olivier E. (2007). Contribution of hand motor circuits to counting. Journal of Cognitive Neuroscience, 19(4), 563-576. • Badets, A., Andres, M., Di Luca, S., & Pesenti, M. (2007). Number magnitude potentiates action judgements. Experimental Brain Research, 180 (3), 525-534. • Castronovo, J., & Seron, X. (2007). Numerical estimation in blind subjects : Evidence of the impact of blindness. Journal of Experimental Psychology, Human and Memory Processes, 33 (5), 1089-1106. • Davare, M., Andres, M., Clerget, E., Thonnard, J-L., & Olivier, E. (2007). Temporal dissociation between hand shaping and grip force scaling in the anterior intraparietal area. Journal of Neuroscience, 27(15), 3974-3980. • Dormal, V., & Pesenti, M. (2007). Numerosity-length interference: A Stroop experiment. Experimental Psychology, 54 (4), 289-297. • Mussolin, C. & Noël, M-P. (2007). The non-intentional processing of Arabic numbers in children. Journal of Clinical and Experimental Neuropsychology, 29(3), 225-234. • Rousselle, L. & Noël, M-P. (2007). Basic numerical skills in children with mathematics learning disabilities : A comparison of symbolic vs non symbolic number magnitude processing. Cognition, 102, 361-395. • Di Luca, S., Grana, A., Semenza, C., Seron, X., & Pesenti, M. (2006). Finger-digit compatibility in Arabic numeral processing. Quaterly Journal of Experimental Psychology, 59(9), 1648-1663. • Dormal, V., Seron, X., & Pesenti, M. (2006). Numerosity-duration interference: A Stroop experiment. Acta Psychologica, 121, 109-124. • Turconi, E., Campbell, J.I.D., & Seron, X. (2006) Numerical order and quantity processing in number comparison. Cognition, 98 (3), 273-285. • Andres M., Seron X., & Olivier E. (2005). Hemispheric lateralization of number comparison. Cognitive Brain Research, 25, 283-290. • Censabella, S. & Noël, M-P. (2005). Effects of multiplications on additions in children. Psychology Science, 47, 184-196. • Censabella, S. & Noël, M-P. (2005). The inhibition of exogeneous information in children with learning disabilities. Journal of Learning Disabilities, 38, 400-410. • Noël, M-P., Rousselle, L., & Mussolin, C. (2005). Magnitude representation in children. In J. Campbell (Ed. ), Handbook of Mathematical Cognition. Psychology Press, pp. 179-195. • Pesenti, M. (2005). Calculation abilities in expert calculators. In J.I.D. Campbell (Ed. ), Handbook of Mathematical Cognition. Psychology Press, pp. 413-430. • Pesenti, M., & Rousselle, L. (2005). Les procédures de quantification chez l'enfant. In A. Van Hout, C. Meljac & J.P. Fischer (Eds. ), Troubles du calcul et dyscalculies chez l'enfant. Paris: Masson, pp. 91-108. • Thioux, M., Pesenti, M., Costes, N., De Volder, A., & Seron, X. & (2005). Task independent semantic activation for numbers and animals. Cognitive Brain Research, 24 (2), 284-290. • Andres, M., Davare, M., Pesenti, M., Olivier, E., & Seron, X. & (2004). Number magnitude and grip aperture interaction. NeuroReport, 15 (18), 2773-2777. • Fias, W., & Pesenti, M. (2004). Le modèle du triple code de Dehaene. In M. Pesenti & X. Seron (Eds. 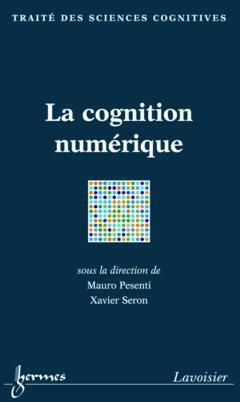 ), La cognition numérique. Paris: Lavoisier-Hermès Science Editions, pp. 69-94. • Noël, M-P., Seron, X., & Trovarelli, F. (2004). Working memory as a predictor of addition skills and addition strategies in children. Current Psychology of Cognition, 22(1), 3-25. • Rousselle, L., Palmers, E., & Noël, M-P. (2004). Magnitude comparison in preschoolers : what counts? Influence of perceptual variables. Journal of Experimental Child Psychology, 87, 57-84. • Zago, L., & Pesenti, M. (2004). Bases neurales des activités numériques. In M. Pesenti & X. Seron (Eds. ), La cognition numérique. Paris: Lavoisier-Hermès Science Editions, pp. 249-278. • Zago, L., & Pesenti, M. (2002). Les activités numériques. In O. Houdé, B. Mazoyer, & N. Tzourio-Mazoyer (Eds. ), Cerveau et psychologie. Introduction à l'imagerie anatomique et cérébrale. Paris: PUF, pp. 521-546. • Pesenti, M. (2001). Les procédures de quantification chez l'enfant. In A. Van Hout & C. Meljac (Eds. ), Troubles du calcul et dyscalculies chez l'enfant. Paris: Masson, pp. 91-108. • Pesenti, M., Zago, L. Crivello, F., Mellet, E., Samson, D., Duroux, B., Seron, X., Mazoyer, B., & Tzourio-Mazoyer, N. (2001). Mental calculation in a prodigy is sustained by right prefrontal and medial-temporal areas. Nature Neuroscience, 4 (1), 103-107. • Seron, X., & Pesenti, M. (2001). The Number Sense Theory needs more empirical evidence. Mind and Language, 16 (1), 76-88. • Zago, L., Pesenti, M., Mellet, E., Crivello, F., Mazoyer, B., & Tzourio-Mazoyer, N. (2001). Neural correlates of simple and complex mental calculation. NeuroImage, 13 (2), 314-327. • Lochy, A., Seron, X., Delazer, M., & Butterworth, B. (2000). The odd/even effect in product verification: Parity rule or evenness familiarity? Memory and Cognition, 28 (3), 358-365. • Pesenti, M., Depoorter, N., & Seron, X. (2000). Noncommutability of the N+0 arithmetical rule: A case study of dissociated impairment. Cortex, 36, 445-454. • Pesenti, M. (2000). Diagnostic et évaluation des troubles du calcul et du traitement des nombres. In M. Pesenti & X. Seron (Eds. 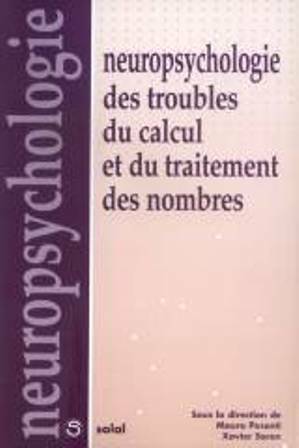 ), Neuropsychologie du calcul et du traitement des nombres. Marseille: Editions Solal, pp. 233-256. • Pesenti, M., Seron, X., & Noel, MP. (2000). Les troubles du calcul et du traitement des nombres. In X. Seron & M. Van der Linden (Eds.). Traité de Neuropsychologie Clinique. Marseille: Editions Solal, pp. 355-371. • Pesenti, M., Thioux, M., Samson, D., Bruyer, R., & Seron, X., (2000). Number processing and calculation in a case of visual agnosia. Cortex, 36, 377-400. • Pesenti, M., Thioux, M., Seron, X., & De Volder, A. (2000). Neuroanatomical substrate of Arabic number processing, numerical comparison and simple addition: A PET study. J. of Cognitive Neuroscience, 12 (3), 461-479. • Seron, X. & Pesenti, M. (2000). Neuropsychologie des troubles du calcul: Un état de la question. In M. Pesenti & X. Seron (Eds. ), Neuropsychologie des troubles du calcul et du traitement des nombres. Marseille: Editions Solal, pp. 85-125. • Pesenti, M., Seron, X., Samson, D., & Duroux, B. (1999). Basic and exceptional calculation abilities in a calculating prodigy: A case study. Mathematical Cognition, 5 (1), 97-148. • Seron, X., & Pesenti, M. (1999). Le calcul et ses troubles chez l'enfant. In J.A. Rondal & X. Seron (Eds. ), Troubles du langage. Bases théoriques, diagnostic et rééducation. Liège: Mardaga, pp. 797-820. • Seron, X. & Pesenti, M. (1999). La neuropsychologie du calcul et du traitement des nombres: Eléments d'introduction. In S. Vinter & A. Ménissier (Eds. ), Les activités numériques: Opérations logiques et formulations langagières. Du normal au patholigique. Besançon: Presses Universitaires de Franche-Comté, pp. 293-323. • Thioux, M., Ivanoiu, A., Turconi, E., & Seron, X. (1999). Intrusion of the verbal code during the production of Arabic numerals: A single-case study in patient with probable Alzheimer Disease. Cognitive Neuropsychology, 16 (8), 749-773. • Thioux, M., Pillon, A., de Partz, M-P., Noël, M-P., & Seron, X. (1998). The isolation of numerals at the semantic level. Neurocase, 4, 371-389. • Brysbaert, M., Fias, W., & Noël, M-P. (1998). The Whorfian hypothesis and numerical cognition: Is "twenty-four" processed in the same way as "four-and-twenty"? Cognition, 66, 51-77. • Noël, M-P., & Seron, X. (1997). On the existence of intermediate semantic representations. Journal of Experimental Psychology: Learning, Memory and Cognition, 23, 697-720. • Noël, M-P, Fias, W., & Brysbaert, M. (1997). About the influence of the presentation format on arithmetical-fact retrieval processes. Cognition, 63, 335-374. • Seron, X., & Noël, M-P. (1995). Transcoding numbers from the Arabic code to the verbal one or vice versa: How many routes? Mathematical Cognition, 1, 215-243. • Noël, M-P., & Seron, X. (1995). Lexicalization errors in writing Arabic numerals. A single-case study. Brain and Cognition, 29, 151-179. • Pesenti, M., Seron, X., & Van der Linden, M. (1994). Selective impairment as evidence for mental organisation of arithmetical facts: BB, a case of preserved subtraction? Cortex, 30, 661-671. • Pesenti, M., & Seron, X. (1993). Quand les nombres deviennent des images. La Recherche, 251, 200-201. • Pesenti, M., & Seron, X. (1993). Cuando los nùmeros se convierten en imàgenes. Mundo Cientifico, 134, 350-351. • Seron, X., Pesenti, M., Noel, M.P., Deloche, G., & Cornet, J.A. (1992). Images of numbers, or "When 98 is upper left and 6 sky blue". Cognition, 44, 159-196. Van Niewenhoven, C., Grégoire, J., & Noël, MP. (2002). Tedi-math: test diagnostique des compétences de base en mathématiques. Paris: ECPA, France. Deloche, G., & Seron, X. (Eds. ), (1987). 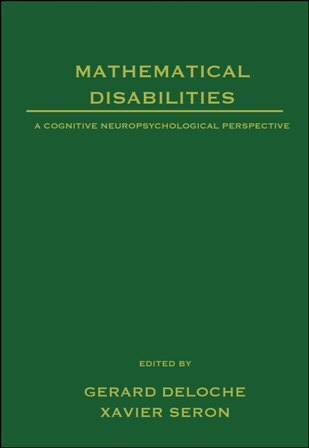 Mathematical disabilities. A cognitive neuropsychological perspective. Hillsdale: Lawrence Erlbaum Associates, p. 281. Pesenti, M., & Seron, X. (Eds. ), (2000). Neuropsychologie des troubles du calcul et du traitement des nombres. Marseille: Editions Solal, p. 273. Pesenti, M., & Seron, X. (Eds. ), (2004). Paris: Lavoisier-Hermès Science Editions, p. 287. 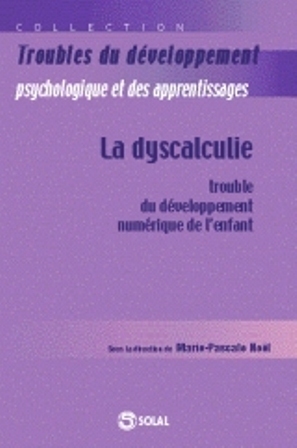 La dyscalculie: Trouble du développement numérique de l'enfant. Marseille: Editions Solal, p. 272. 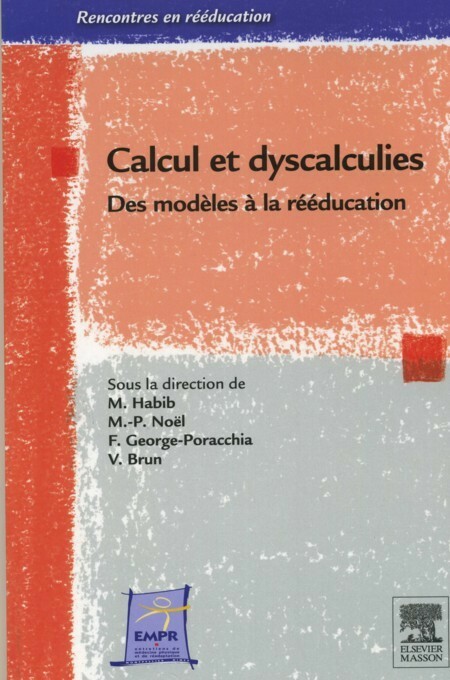 Calcul et dyscalculies : des modèles à la rééducation. Elsevier Masson, Issy-les-Moulineaux, France. 168 pgs.